After a busy Halloween season filled with lots of art shows and exciting publications, I’m now finally getting back to producing new content. 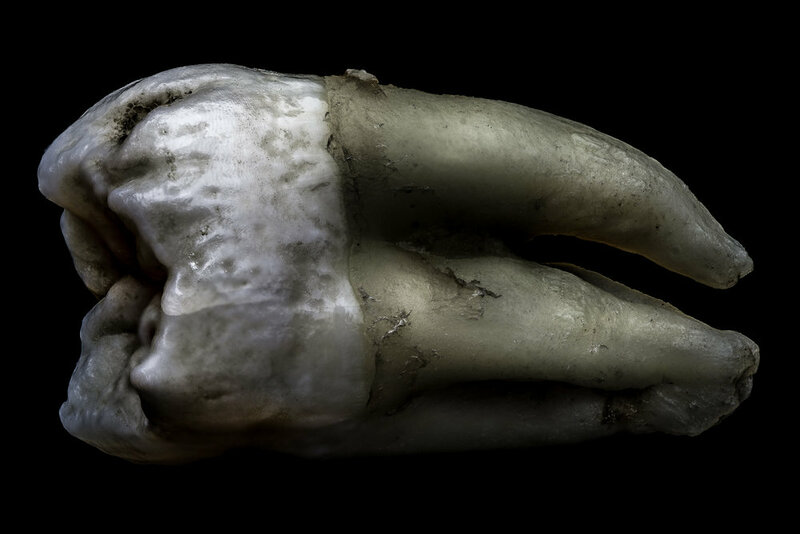 Here are the last few images in my ongoing studies of human teeth; the full set of images of this type is now complete. 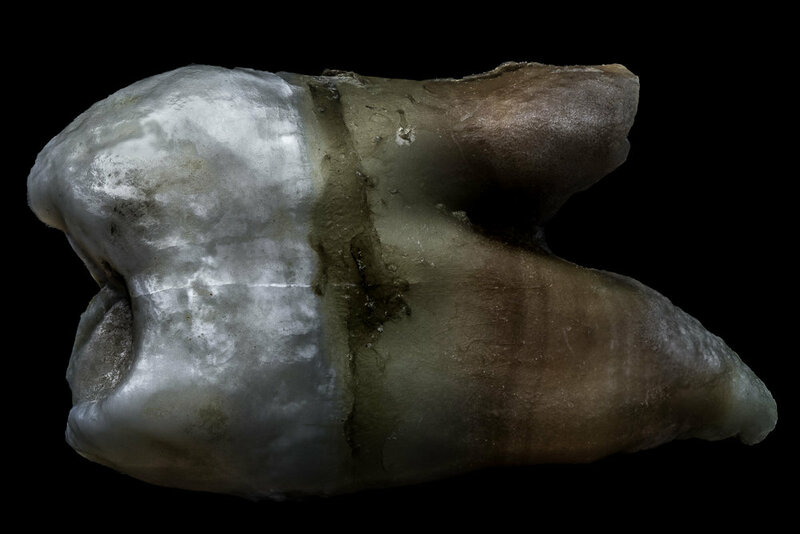 I have plans to return to teeth as a subject matter, but my forthcoming work will break from the formula that I’ve used in my gallery Dentata so far. Enjoy! I've been hard at work on some new material over the last while. 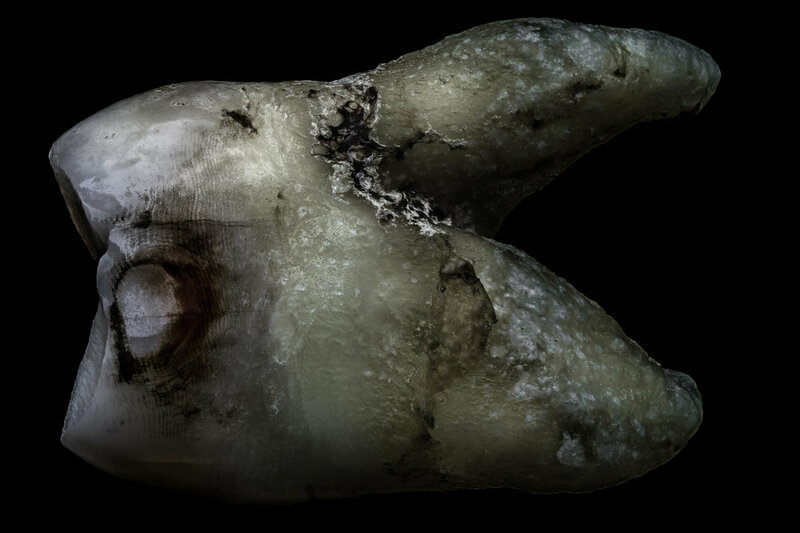 Here's a sneak peak, showing some preliminary work in progress from my studies of human teeth. 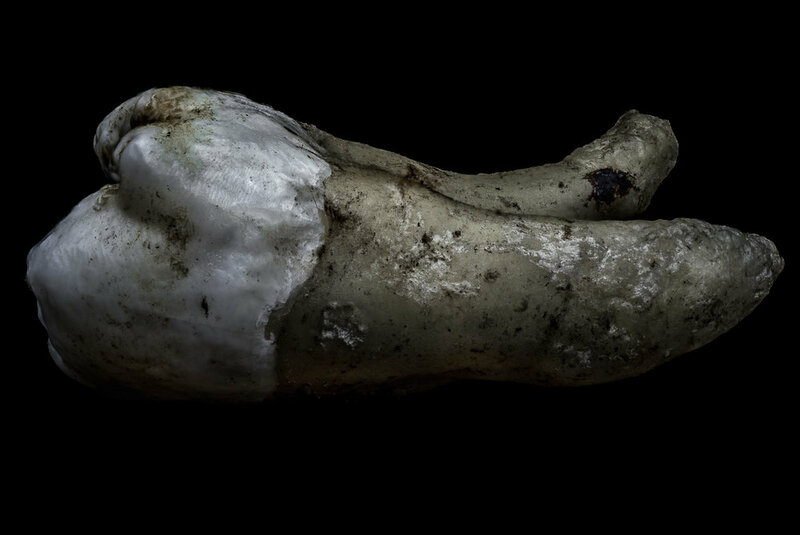 This project slots somewhat nicely into my general fascination with portraiture of the dead and, indeed, I've long been fascinated by teeth. 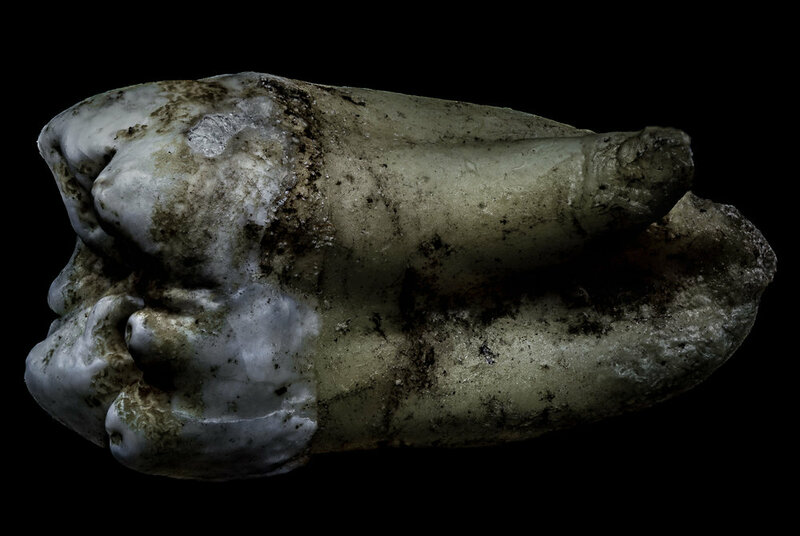 There's a certain intimacy about doing this kind of close-up work with something that used to be a part of a person. 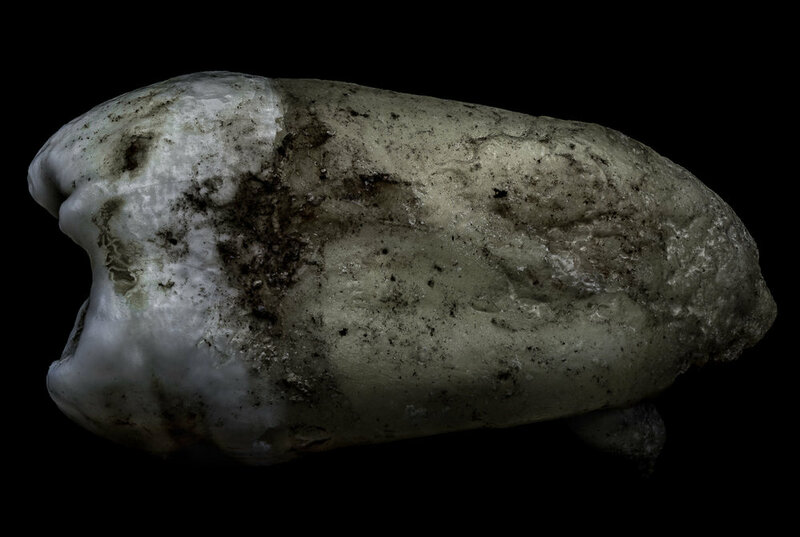 I love getting up close and personal with all the little markers of scum and wear and decay; those tiny little details that might be invisible under normal viewing conditions and that mark the passage of time. Lots more to come. In the meantime: enjoy the tooth decay! 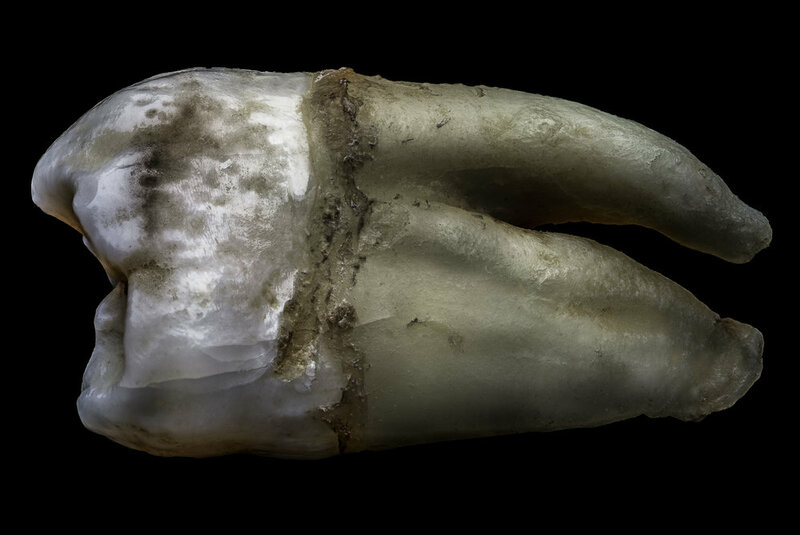 By the way: if there's anybody out there with some dentistry expertise who can help me identify these teeth, please send me a PM. 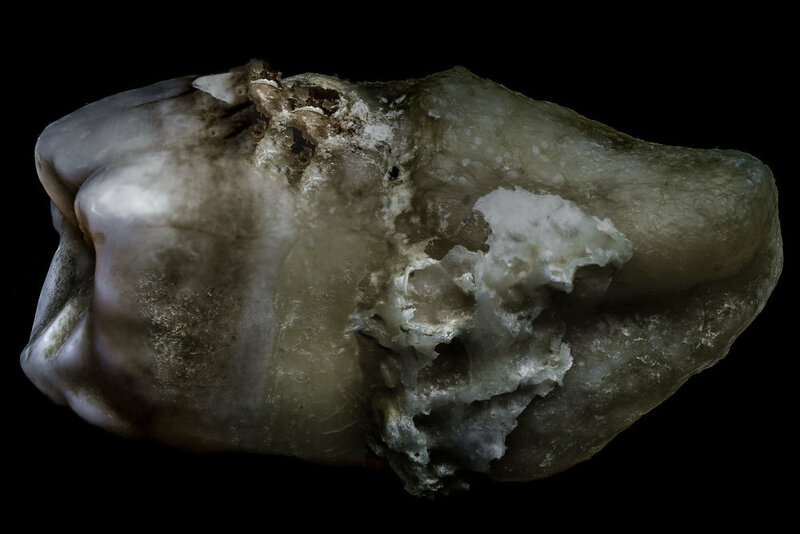 Ultimately there will be about a dozen distinct teeth in the gallery -- with multiple views of each -- and I'd eventually love to have the correct technical names attached to each image. If anybody is interested in helping me out here please send me a message, I will repay your kindness as best I can.